Heat the olive oil in a skillet over medium-high heat and add the minced garlic. 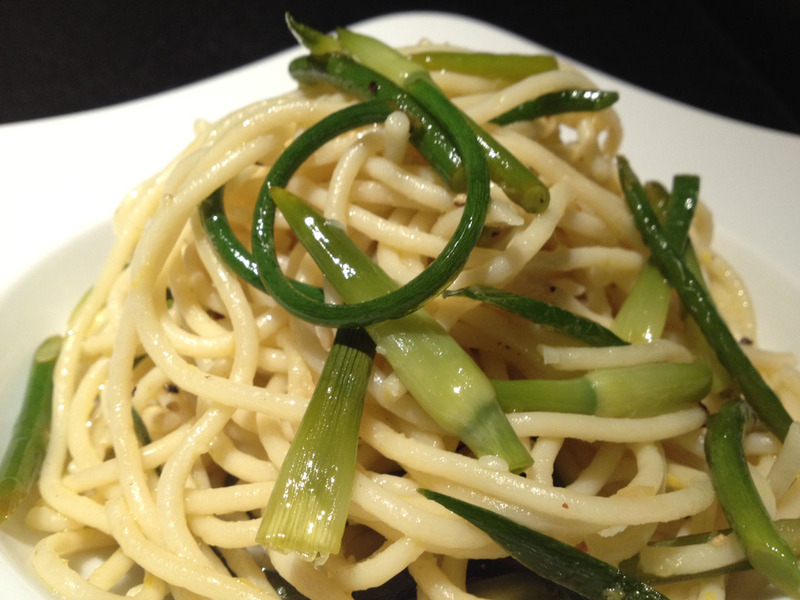 Stir-fry the garlic scapes until crisp-tender and no longer fibrous, about 3-4 minutes. Add the butter and lemon juice, and stir until melted. Pass hot water through the pasta to loosen, drain, then add into the pan along with the lemon zest. Add a bit of reserved pasta water if the mixture seems too dry. Season with salt and pepper to taste. Toss well and serve immediately.